Will Walkable Suburbs Outperform In The Future? You often hear location is paramount when choosing a great investment property. But what makes a good location? While a lot of factors come into play, easy access to facilities must be near the top of the list. Walking distance to transport, shops and the café lifestyle is one the strongest trends attracting buyers and tenants. This particularly so among the growing demographic living in apartments in our inner suburbs. Australian Cities have been ranked by WalkScore. Well…now you can find out how “walkable” your suburb is. Walkscore.com, which measures the number of typical consumer destinations within walking distance of a dwelling, with scores ranging from 0 (car dependant) to 100 (most walkable) has recently ranked more than 100 Australian cities and 3,000 suburbs. With a Walk Score of 63, Sydney comes out on top in the ranking of The Most Walkable Australian Cities and Suburbs. 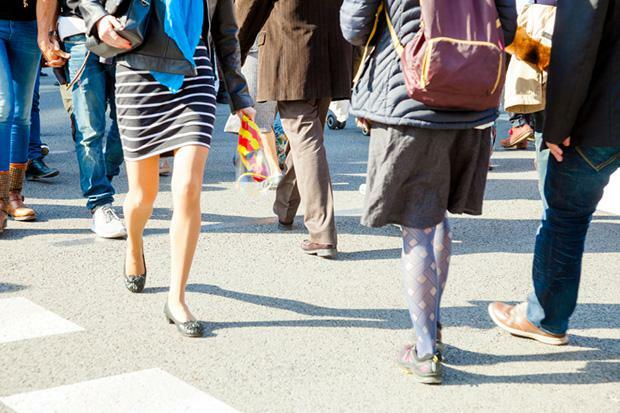 While a number of real estate websites have incorporated WalkScore and more are likely to follow, of course the walkability index has a number of shortcomings. Consider the low-scoring regional dweller who enjoys walking their dog on a rural path. Not to mention that what one person considers a “walkable” trip may seem an epic hike to another. 10. Canberra (Walk Score: 40)While this is interesting, what is more important is that in every city some suburbs are more walkable than others. Over the past decade, home values in Sydney’s walkable neighbourhoods have outperformed the rest of the city and can attract a 20% premium. It was much the same overseas where studies indicate that properties with above-average levels of walkability command a premium over homes with average levels of walkability. Walkable neighbourhoods offer a number of health and economic benefits. For example, a 10-year long study of Australians by the University of Melbourne found that walkable neighbourhoods with proximity to shops, parks and public transit improve people’s health and wellbeing. And as our population grows, and our cities become more dense, I see the importance of easy access to amenities and walkability becoming more important. With more of us trading backyards for balconies and living in apartments, we’re spending more time in cafés and restaurants rather than entertaining at home. Add to this the fact that 22% of our population are living alone, then the opportunity to stroll up the road to visit their favourite café for a coffee or a meal is particularly important to them. So when you’re looking at buying your next home or investment property consider its proximity to amenities. As our lives become more hectic and our cities become more congested, many of us will be prepared to pay a premium to be close to, but not right next to transport, shops and amenities. HOW IMPORTANT DO YOU THINK WALKSCORE WILL BECOME? Many web portals and estate agents websites are starting to incorporate WalkScore. How valuable will it be – will you pay attention to it? Michael is a director of Metropole Property Strategists who create wealth for their clients through independent, unbiased property advice and advocacy. He's been voted Australia's leading property investment adviser and his opinions are regularly featured in the media. Subscribe to his blog at Property Update.